I have not, but I would like to, and I think we all should. I was talking with a client last week about things we like to for our own quiet time, self reflection, and escape…Fishing came up. The fisherman is a rare specimen who is happiest out in a boat or on a quiet dock, with literally nothing, no sound louder then the rippling of the water, and the clinking of his tackle case opening and closing. 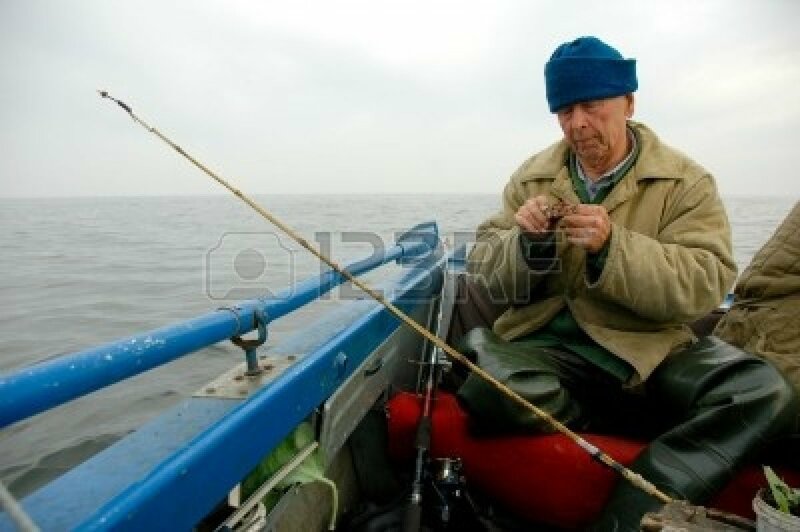 No other human is required, nothing more than himself and the fishing pole. Being completely alone with your thoughts and your own self. Being your own best friend…Are you your own best friend? Do you spend quality time with just YOU? Learning everything there is to know about …YOU? Would you want to be friends with You??? In this moment, the Fisherman ( or fisher lady) is truly Happy. There is no worry too big to pull them away, yesterdays work problems, or relationship hiccups, financial responsibilities, nagging chores… nothing is of concern. This moment, is all that matters, and it is enjoyed from the depths of his soul. This is what it means to be in the moment. I know that I could greatly benefit from sitting with a fisherman for a few hours…or a day We could talk and tell stories all day, or we could sit in utter silence and I could learn, likely more in that silence than in any classroom, or from any book. Maybe it’s not for you, maybe you are just fine “being with your thoughts” and don’t get sucked into social media, and scrolling through Instagram every 20 minutes to see whats new and who’s liked my photos. But if you are like the mass millions of adults right now being sucked into the vortex of technology and pulled so far away from real life… like myself, then this challenge is for you. I am not suggesting you take up fishing. I mean if it’s available to you and is of interest, then YES , YES I am suggesting you try it. What I actually am suggesting is that we practice spending a little time alone, with just ourselves. Take notes from the Fisherman. Unplug. Detach, Disappear, Shut Down, Close the door…whatever you need to do to be simply and perfectly alone with YOU. Let’s begin with 1 hour a day. B) While you are NOT working. Turn it all off, become unavailable to the outside world. Tell your spouse, your kids, your roommate, whomever you need to tell. You are unavailable for this hour. Spend time in this hour sitting with yourself, wherever makes you feel happy. Mountain top, ocean side, in your car, at the park, in the bath, in your room, anywhere you want, and be with YOU. Maybe you will write about your day, or your goals, or maybe you will write poetry or a short story. Maybe you won’t write anything, maybe you will draw. For 7 days, one hour a day, for a week….Let’s find our inner fisherman, alone, together.